SentryOne is generally licensed per each individually monitored target. This includes products for Windows Server, SQL Server, Analysis Services, VMware, and Azure SQL DB. Win Sentry, and V Sentry can be licensed per core; this is most often used in virtualized environments. Hypervisor hosts are licensed based on their number of processor cores, and any virtual machines managed by the host are licensed for all relevant products. Licensing is independent of the SentryOne Client, and there's no limit to the number of clients that may be installed in your environment. Licensing is also independent of the number of SentryOne monitoring services installed in your environment. 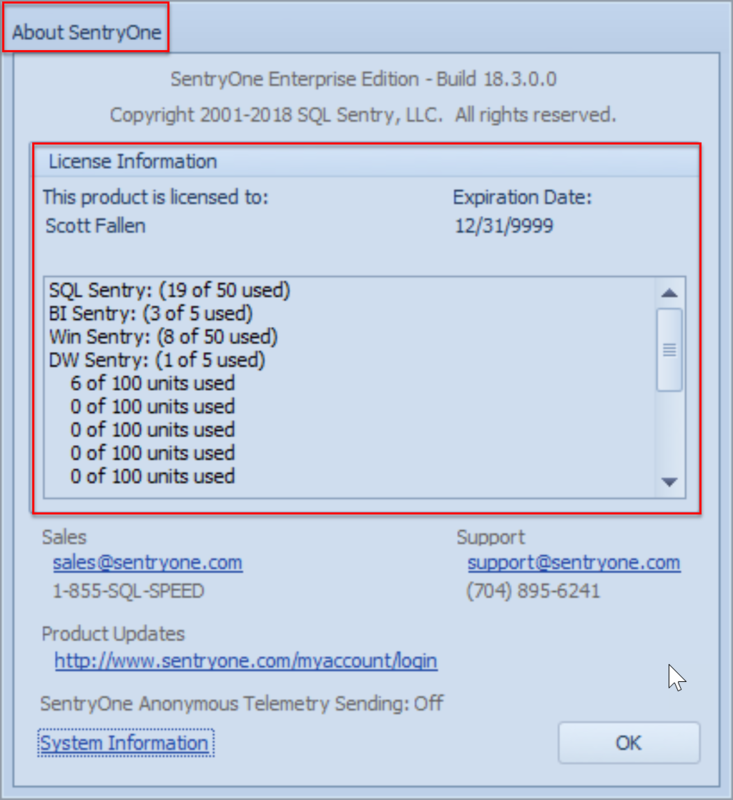 Since February 2019, SentryOne offers an additional level of licensing known as SQL Sentry Essentials. SQL Sentry Essentials allows you to monitor up to five targets using the core features of SQL Sentry. To learn more about the available features, see the SQL Sentry Essentials product page. It is available for immediate purchase through our online store. This offering is designed for organizations that need SQL Server performance monitoring without some of the features used by larger environments. 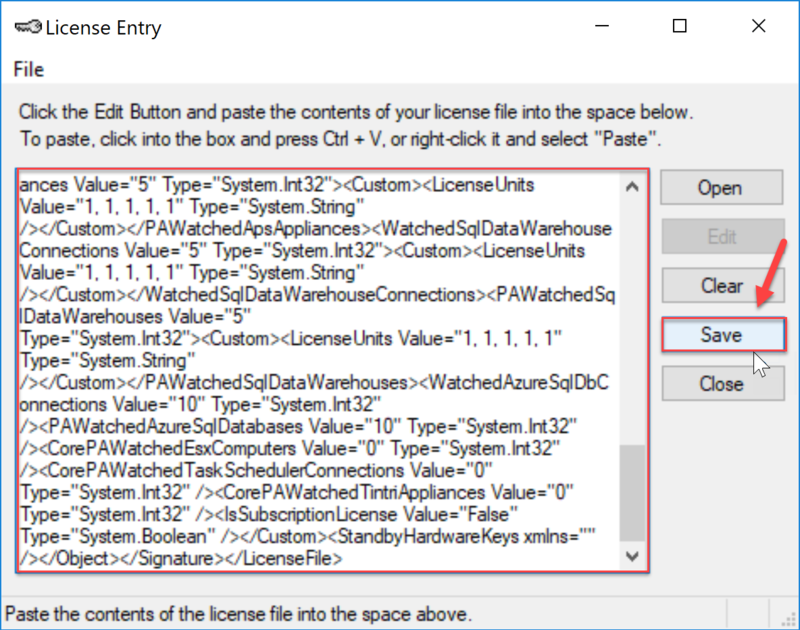 The licensing for Microsoft Analytics Platform System (APS) and SQL Data Warehouse (SQL DW) differ from the traditional SentryOne licensing model. APS is licensed by the number of Compute nodes on the target, and SQL DW is a flat monthly subscription with an annual term. Important: If the number of Compute nodes exceeds the number of license units, monitoring will be suspended until additional license units are applied. For example, if a SQL DW target with six compute nodes is being monitored with a six node license, and then two additional nodes are added to the SQL DW environment to accommodate increased activity, monitoring will stop until an updated license that includes additional license units is applied. 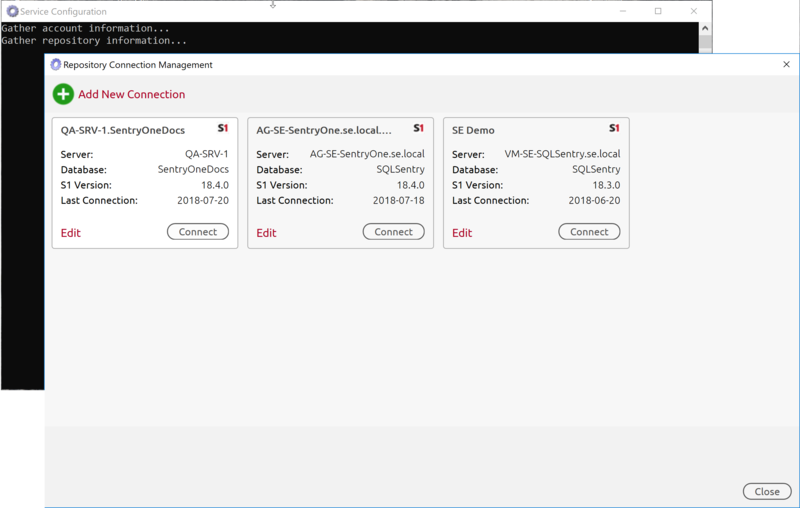 It's possible to obtain a free license of SQL Sentry for monitoring the SQL Server instance that contains the SentryOne database. The database license is free to monitor regardless of how many licenses you already have. Note: The free license doesn't appear in the license count in the Help > About window, despite whether the free license is used. Success: There are no annual software maintenance costs for the free license, and the license is perpetual. Your SentryOne license has a hardware key that's tied to the location of your SentryOne database (denoted by the SQL Server instance name). If you decide to relocate the SentryOne database, this hardware key can be updated through our Customer Portal by any authorized account holder. Contact SentryOne support if you have any problems. For more information about moving the SentryOne database, see the Relocating the SentryOne Database topic. For more information, see the Hosting SentryOne Database On An Availability Group article. Select Help on the client toolbar, and then select Manage License to open the License Entry dialog box. Select Edit to change your license information. Select Clear to erase the current license from the text box. 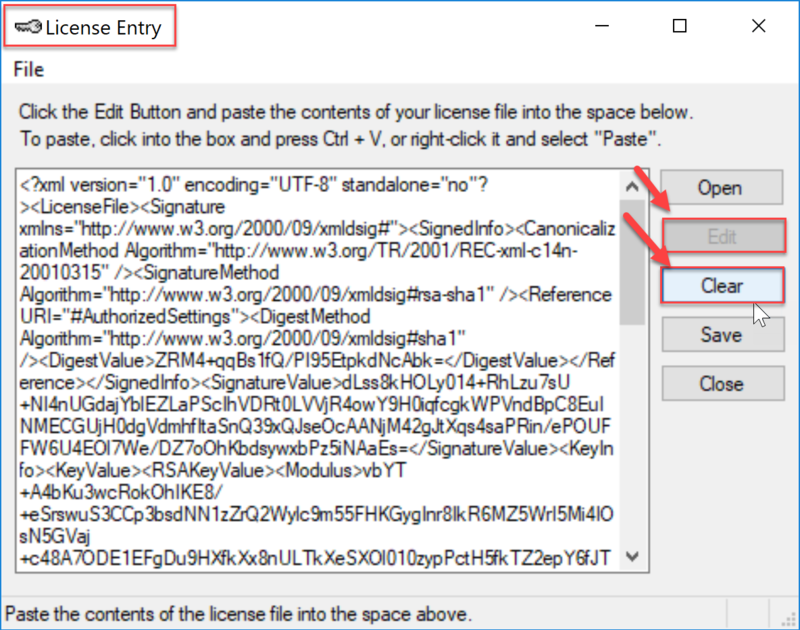 Copy your new product license from the SentryOne customer portal, and then paste the text in the text-box, or drag-and-drop a license file into the space provided. Select Save to save the changes to your license, and then select Ok to close the License Entry dialog box. This opens the License Change Detected prompt. Select Ok to restart the application with your new license. Success: You have now successfully updated your SentryOne License! View additional license information, such as the number of licenses applied throughout the environment, in the About SentryOne window. Access the About SentryOne window by selecting Help > About. To get an overview of how your licenses are applied throughout your environment you can also select the Inventory node, (Navigator > Configuration > Inventory) . Double-clicking the Inventory node opens the All Instances tab that lists every target that SentryOne has ever monitored. An empty check box indicates that the target isn't being watched. To reclaim a license, select the checkbox of a target to stop watching that target. That license can then be applied to another target as needed. Receiving this error while applying the license key indicates that the hardware key of the license doesn't match the name of the server currently housing the SQL Sentry database. This typically happens when you need to migrate your SQL Sentry Database to a new instance of SQL Server, or to a new server altogether. Scroll to the Licenses section at the bottom of the Customer portal. Select the license you'd like to modify from the Perpetual License list on the left. 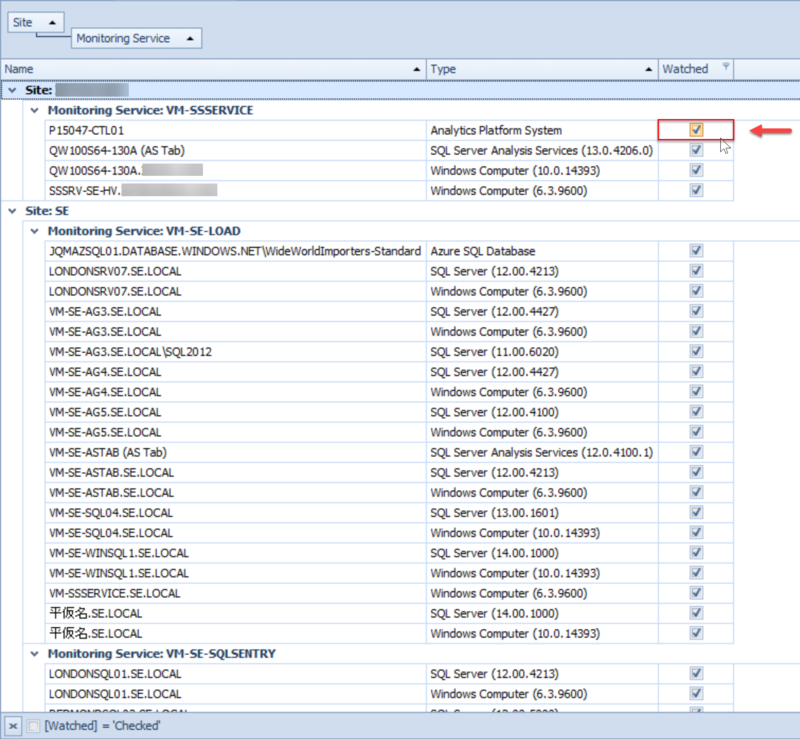 In the Update Server Name section, enter the name of the SQL Server instance housing the SQL Sentry database, and the reason for making this change. Select Update to update the license. In the License Key form, choose to email the new license key or copy it to the clipboard. Receiving this error indicates that the version number of the license that you're applying isn't valid for the version of SQL Sentry that you're running. Note: This error message may be encountered when you try to apply a license after a major version upgrade because the version number of the license keys are incremented for each major version release. Go to the Available Upgrades section in the portal. Select the license key(s) that you'd like to upgrade, and then select Upgrade. Note: Once the license is upgraded, the new license key is emailed to you. Receiving this error indicates that the license key has been modified. Note: Adding an extra character or space in the license key trigger this error message. Resolve this issue by selecting the original license key attachment from the licensing email and reapplying it, or select the original license key from the Customer portal and reapply it. Receiving this error indicates that the license key has been modified. This error is specific to the license key being modified by an email-security system. 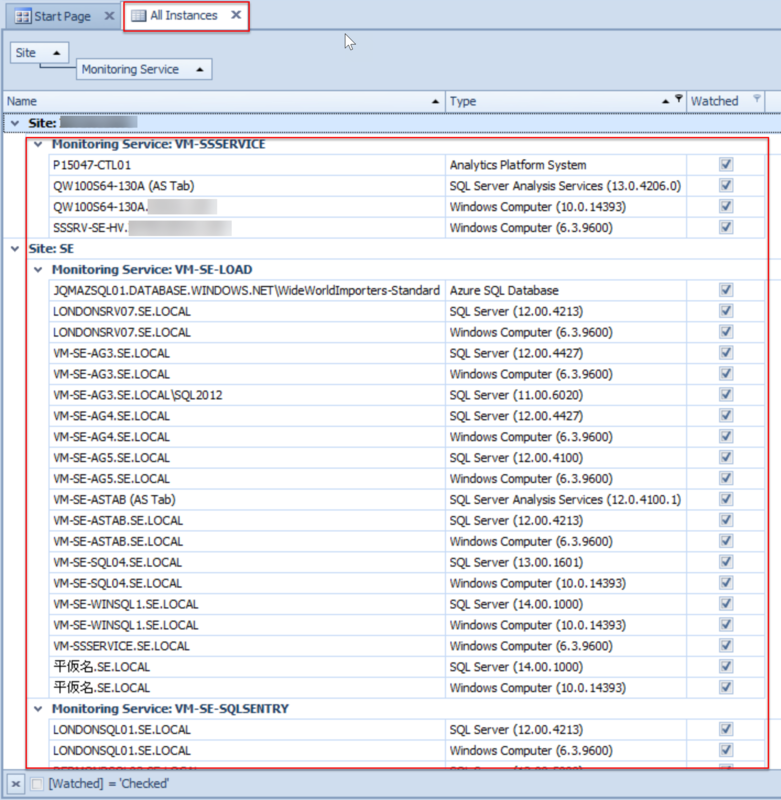 Update the credentials for SentryOne Monitoring Service Account through the Service Configuration Utility. 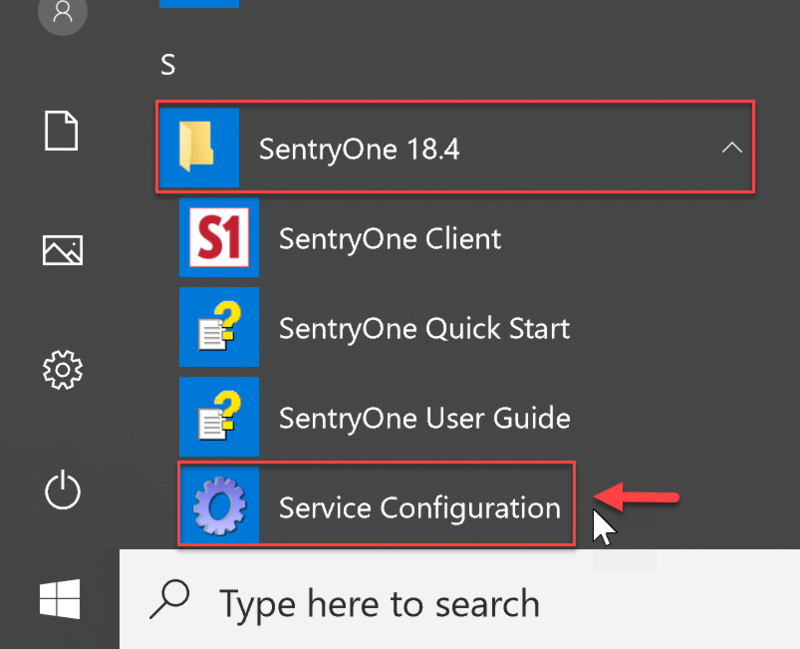 Open the Service Configuration Utility by selecting it in the SentryOne Application Folder. Enter the new Service Credentials in the Set SentryOne Monitoring Service Login dialog box, and then select Ok. Select the Connection option for the desired SentryOne database. 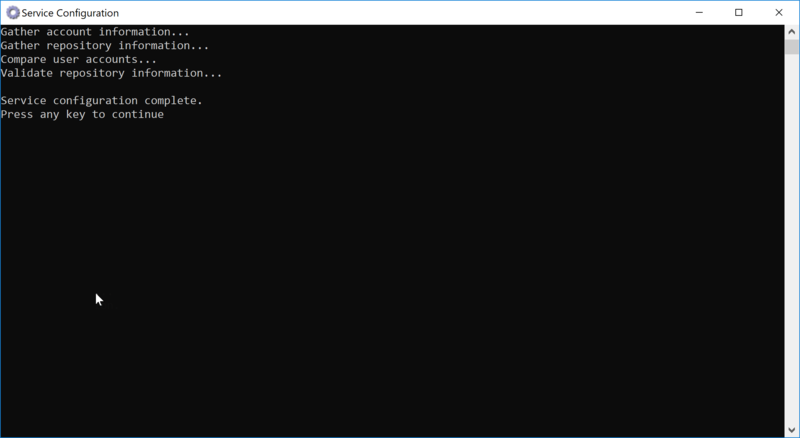 Success: If everything completes successfully, a Service configuration complete message displays on the Service Configuration command prompt window. Press any key to close out of the utility. 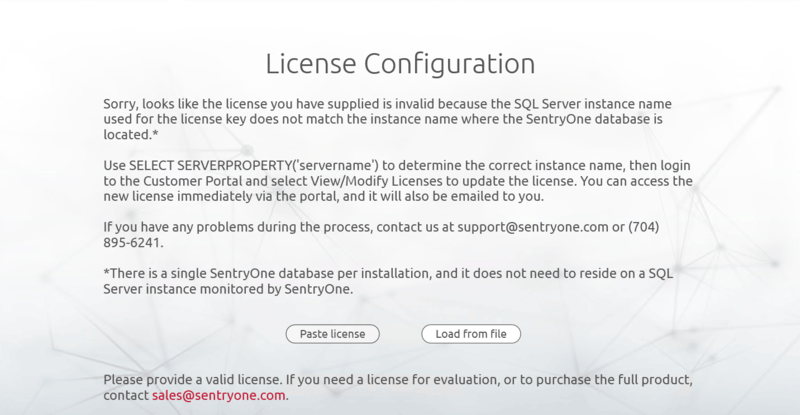 Hosting the SentryOne database on an availability group gives you a License Key Mismatch error because SentryOne recognizes that the SentryOne database is part of an Availability Group and is looking for the Availability Group ID, rather than the server currently hosting the database. To allow licensing to be aware of SentryOne database movements and continue working, the Hardware Key must be tied to the Availability Group ID. Next, update the hardware key through the Customer portal. Important: When running the client, use the Listener name for the Server Name. This allows the Monitoring Service to connect regardless of where the database is currently hosted.